Josh Goldberg is a singer, songwriter, multi-instrumentalist, producer, and cantorial soloist in Los Angeles, California. 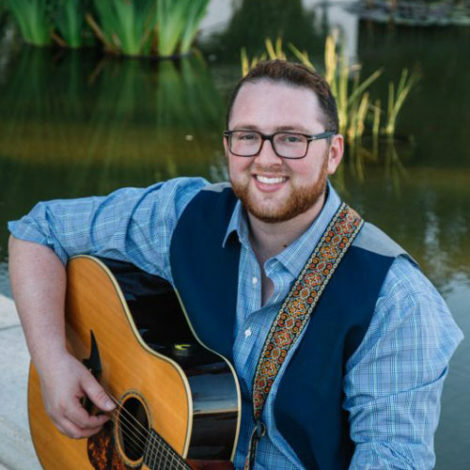 Born and raised in Dallas, TX, Josh started performing at a young age, participating in musical theatre productions, and playing original music in local venues around town. He attended Arts Magnet High School, where he studied music, and then went on to graduate from University of Southern California’s renowned Thornton School of Music, in the Popular Music program. Josh released a self-titled EP in 2012, and followed up with a full-length album called ONE, which was released in 2016 and features 13 original songs and settings to Jewish prayers. Josh has toured internationally with artists such as Craig Taubman and Rick Recht, and has performed at major Jewish conferences including URJ Biennial, Limmud UK, and BBYO International Convention. In 2017, Josh created his own record label and production company, Kosher Style Records, specializing in producing albums for up-and- coming contemporary Jewish songwriters from around the country. Josh is currently the Cantorial Soloist at Temple Beth Hillel in Los Angeles, and is studying to be a cantor at the Academy for Jewish Religion, California. Josh lives in Sherman Oaks with his fiancée, Annie.